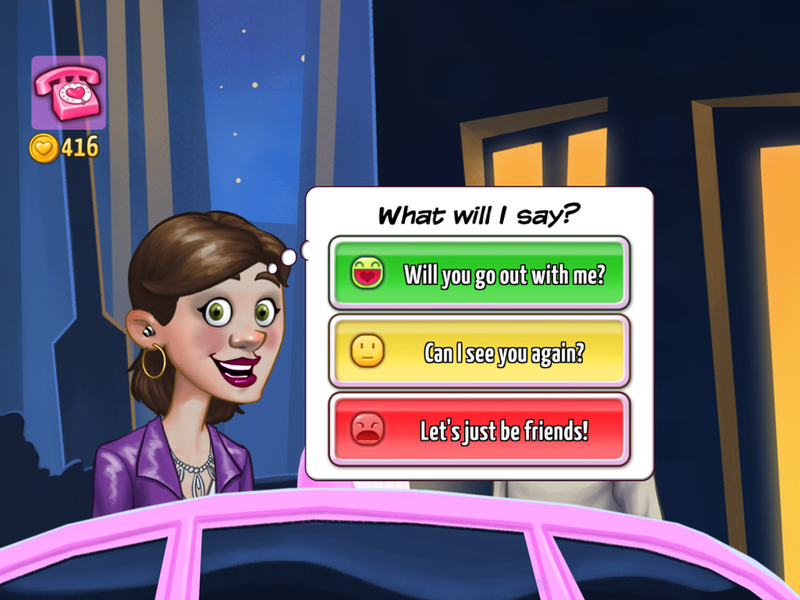 Kitty Powers' Matchmaker is a unique new take on the dating sim genre, with a very British twist. Build and run your very own matchmaking agency under the watchful eye of your new boss, outrageous drag queen Kitty Powers! This game is priced at $2.99/€2.69/£1.99 on mobile and £6.99/$9.99 on Steam and contains no in-app purchases. The game is available for Steam (PC and Mac), Apple iPhone and iPad (universal), most Android devices and Kindle Fire. It is available on the Steam Store, Apple App Store, Google Play and the Amazon App Store. Developed in the U.K. and published by Magic Notion. Match your clients with candidates from Kitty's Black Book! Choose from millions of unique procedural characters! Send them on dates to exotic restaurants! Be their wingperson and coach them through dating dilemmas! Use your wits and memory to help them make sparkling conversation! Use your judgement to decide whether they should ask them out, see them again, or dump them! Earn promotions by making successful matches to expand your agency! Create an avatar, have it appear in your friends' games and receive letters telling you how they get on! Connect to Facebook to challenge your friends to be the Matchmaker of the Week! Kitty Powers' Matchmaker was started in January 2013 by Richard Franke and Kieran Keegan, shortly after Richard formed Magic Notion Ltd. It was self funded by Richard doing contract work for other developers, and self published. It was born out of a challenge set by the developers to themselves, to create a unique new type of game that did not rely on violence or destruction to create gameplay. A game that would have a human touch, and that would take a unique view on an everyday situation that most people have some experience of. It was also very important to them to make sure that the game was inclusive of everyone. From the start it was intended to be humorous, and to set it apart from many other games on the app store, Richard decided to include his alter ego Kitty Powers in the game, to add a unique and humorous twist. In 2016/17 Stellar Entertainment Software, led by Paul Ross, also an alumnus of Criterion Games, helped Magic Notion to port the game to Playstation 4 and XBox One.